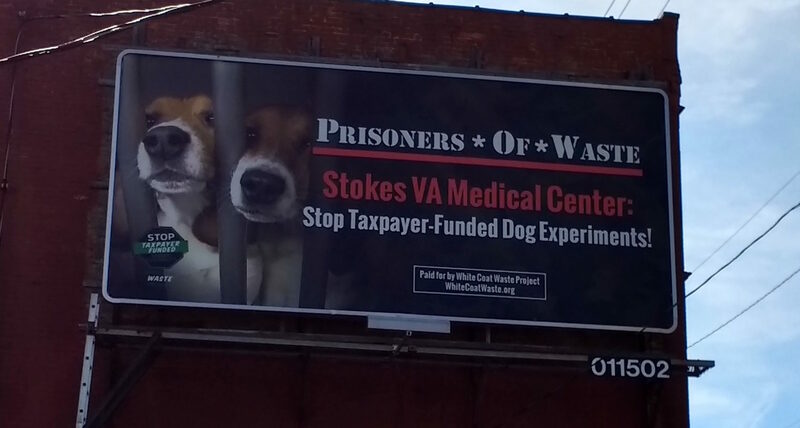 In April, WCW launched a billboard campaign to expose how the Stokes Veterans Affairs Medical Center (VAMC) in Cleveland, OH is one of only three VA facilities still conducting painful taxpayer-funded experiments on dogs. 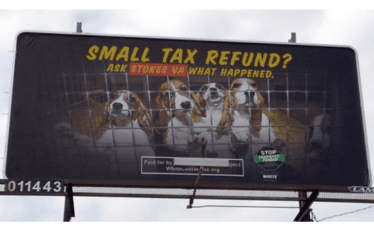 Now, documents obtained by WCW through the Freedom of Information Act (FOIA) show that from March 2016 through March 2017 Stokes spent $38,000 of taxpayers’ money to purchase 30 mixed-breed hounds for use in invasive and deadly lung experiments. The dogs included puppies, retired breeders, and dogs described in Stokes’ records as “friendly,” “shy & submissive” and “skittish.” Stokes experimented on and killed some of the dogs within days of their first birthday. In late April, Stokes VAMC told the Washington Free Beacon that all five of the dogs it purchased in March 2017 were “adopted out.” They weren’t. The new records obtained by WCW show that Stokes had killed three of these dogs more than a month before. The other two dogs were adopted out, and coincidentally (or not) the decision to do so was made on the exact same day that WCW sent Stokes a request for records related to all dogs currently being used in experiments. Of the 30 dogs purchased with taxpayers’ money by the Stokes VAMC from March 2016-March 2017, 27 were killed in experiments. These revelations about VA misleading the public about its dog experiments follow WCW and media criticized the VA for denying its own well-documented evidence that it uses puppies in painful experiments at the Richmond VA.
Help stop the VA from using your money to abuse and kill other friendly, shy and healthy dogs. 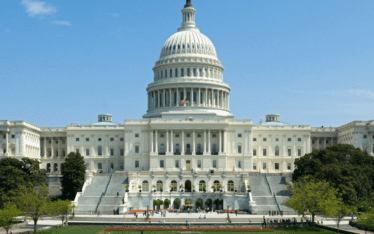 Urge your Congress members to support the bipartisan PUPPERS Act to end taxpayer funding for the most painful dog experiments at the VA. This must stop. What can I do here in NYC? I am a veteran myself, this sickens me. 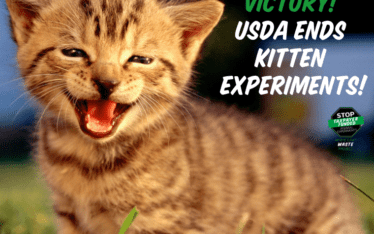 STOP YOUR CRUEL EXPERIMENTS ON ANIMALS NOW!!!!!!!!!!! People who do this have NO RESPECT FOR LIFE AND THEY NEED TO CAGED AND TORTURED TO SEE HOW THEY LIKE IT!!!!!!!!!! ENOUGH IS ENOUGH!!!!!!!!!!! Typical Government BS, sadly we still havent seen just how low they will go, and the lies they will tell, even when caught redhanded!!!……. I call it piss on your head politics…….. and they tell you it raining!! !…….People need to learn to stand together and get rid of the BS politicians…er..liars that DO NOT REPRESENT what they claim to or what is right…….. as said earlier in a comment …..bad Karma comes back around……..this crap can’t last!! !…lets picket!!!! !…….seriously!